Bigger and better for 2019, bringing the 'Best of the Best' back together for three days of racing, for 1/10th off-road, which already has a reputation for spectacular racing, it should be something to see - alongside you can visit the Model Motorsport Show which will give our industry the opportunity to demonstrate their products to a huge audience - last year's show saw 110,000 people visit over the weekend! 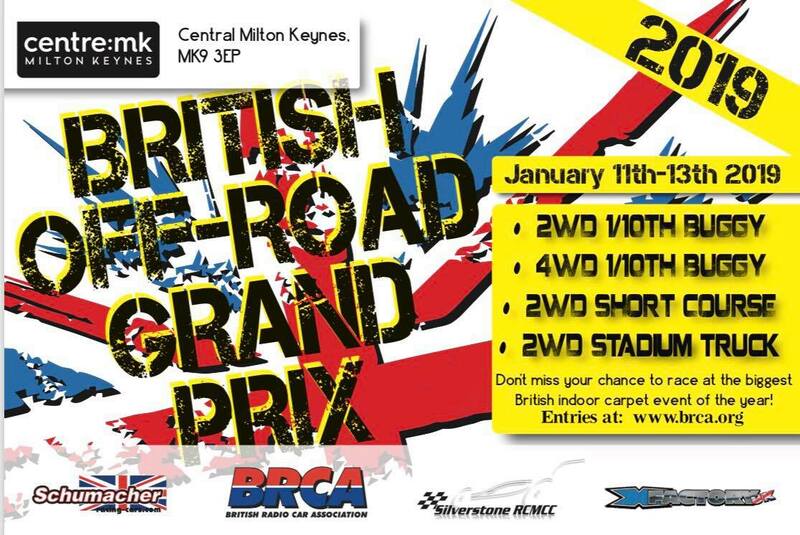 Please enter your details below for your chance to race at the British Off Road Grand Prix 2019. Successful entrants will be notified on or around the 15th October 2018, with payment required one week after offer of entry to secure the place. Any non payments will have their place offered to another racer.